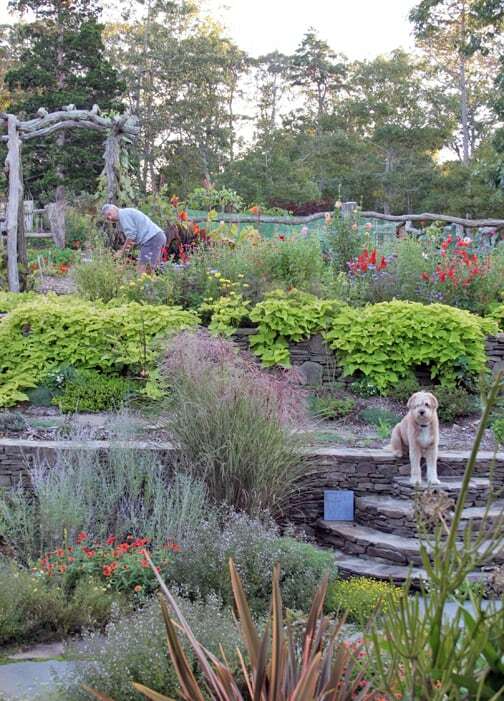 Every gardener should leave his or her garden for a week once in awhile. If you’ve gone on vacation during the growing season, you’ll know what I’m talking about when I say that things change so much in just seven days. 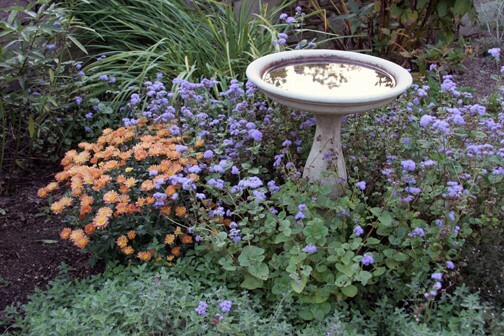 In a short time some plants have finished flowering or lost all of their foliage while others have opened into bloom. Such changes make us aware that our landscapes and resulting perceptions, feelings, thoughts and actions are fluid, shifting over time. As I look back over my posts on this blog, I see recurring themes and not a little repetition. Although I strive to express new viewpoints here, my upmost goal is to write about what is in my heart today. I believe this is a prayer of gratitude. By focusing on what I’m appreciating and discovering each day, I’m affirming that it’s all a gift that I’m extremely thankful for. Look into your landscape in the next day or two, imagining that you’re seeing it, and taking it into your heart, after being away for some time. Can you experience it as absolutely cherished beyond measure? The apricot colored Rhumba mums have come into bloom. 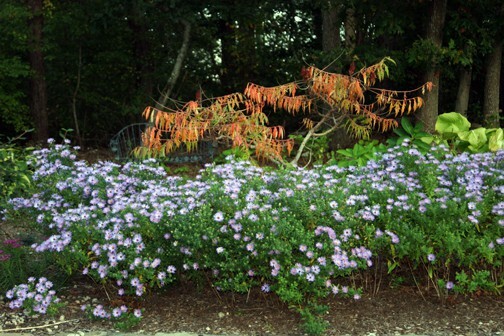 The 'Tiger's Eye' sumac is losing foliage but the Aster oblongifolius 'Raydon's Favorite' is filled with blue flowers. Annual Alley is bursting with color. I've always said that dahlias are the queens of October, and they are proving it today. My husband picks dozens while The Dog "helps".